The application has evolved from the “concept” to the “real workhorse” level and is now a very powerful musical tool, for instant production of tons of first-class musical ideas. The melodies can now be recorded to .WAV/.M4A and MIDI simultaneously. Hardware, virtual, wireless MIDI in/out, as well as Audio Copy/Paste are fully supported. There are 30 built-in instruments, 6 drones, 8 drumloops, and more downloadable content is available through the built-in app SHOP. 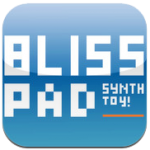 + All in-app purchases are now FREE TO DOWNLOAD, more than 600 Mb of quality instruments, check them out in the SHOP menu. Seline Ergonomic Synth is available for $9.99. 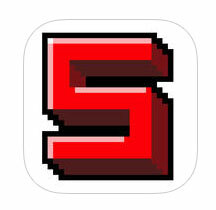 SquareSynth is a table-based synthesizer for iOS, based on old-school chiptune trackers. Using the “tables” you can create sounds similar to 8bit game consoles, and computers. 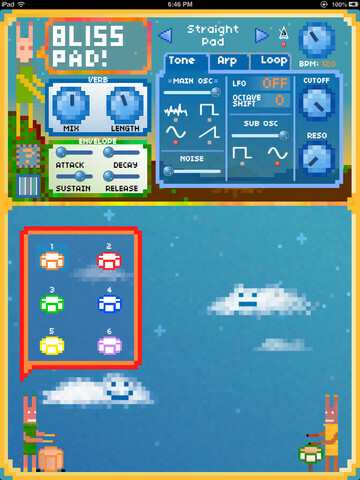 Must have app for chiptune musicians, or musicians in general. If you want to experiment with 8 bit sounds, look no further. 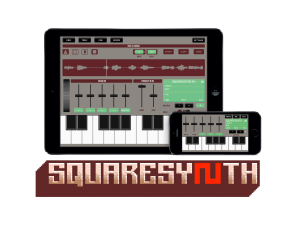 SquareSynth is available for $3.99. + And a lot more… This is basically a new app! 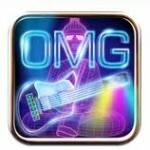 OMGuitar is available for $4.99. 76 Synthesizer is a virtual analog monophonic synth for the iPad. Inspired by synthesizers from the 70’s, the 76 Synthesizer combines playability with style. * Audiobus support and background audio. Use 76 Synthesizer as an input device for the acclaimed Audiobus multitasking system in conjunction with your favourite music apps! Control 76 Synthesizer with MIDI while it’s running in the background. * General audio engine improvements. 76 Synthesizer is available for $1.99.